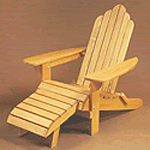 The following Adirondack chair and accessory plans are free. 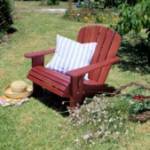 They include a wide variety of Adirondack chairs designs. Selection of manufactured Adirondack chairs . It is suggested that this Adirondack chair be built using cedar lumber. 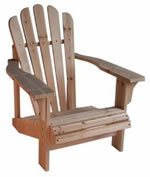 Adirondack chair has a low back with arms that are offset creating a chair that is easy to get in and out of. 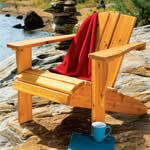 high back and foot rest, this Adirondack chair is extremely comfortable. Classic Adirondack chair and table.